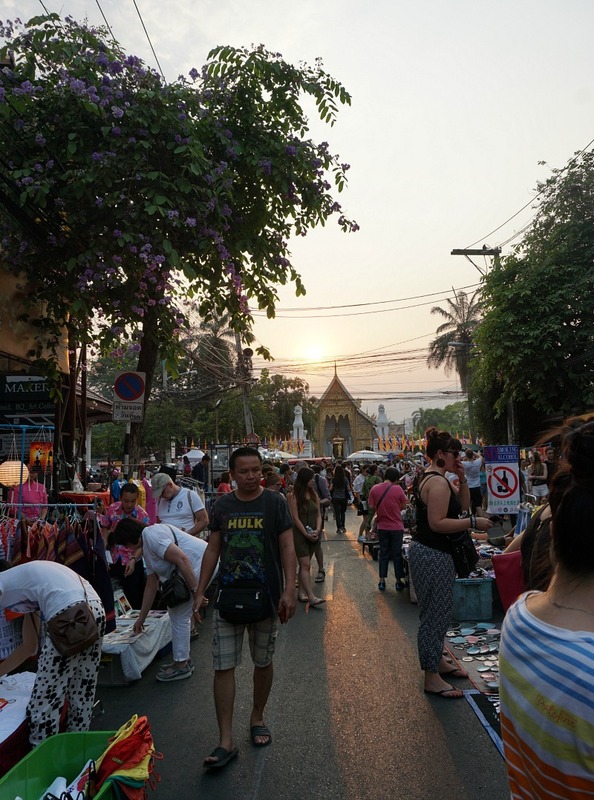 Visit Chiang Mai and prepare to fall in love with its traditional Thai nature with a modern twist. We arrived in Chaing Mai by air; we flew direct from Krabi. The journey takes just under two hours and our flight at the end of March cost around 30GBP. You can probably also get there by train/bus, but when the flight is so cheap we thought we would save time and discomfort this way! 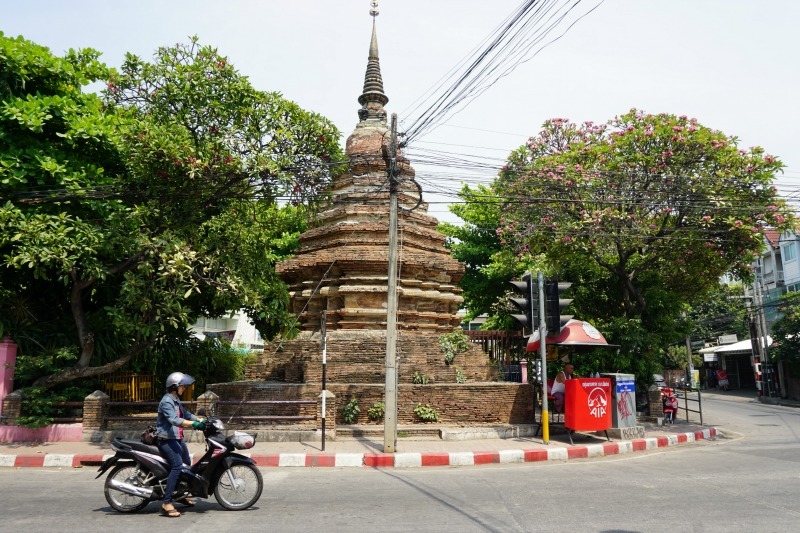 When arriving at the airport we got a taxi from the desk in the arrivals hall, we were going to a guesthouse outside of the SE corner of the old town and the taxi cost 150B. 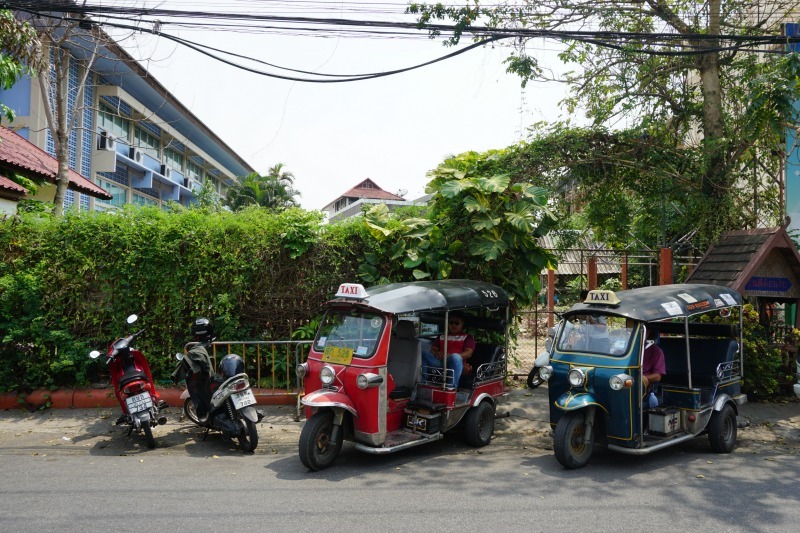 We found taxis to be relatively expensive in Chiang Mai, seeing as you can catch a songthaew for 20B per person for most journeys within/around the old town. Songthaews are the red buses, and work on the principle of a regular taxi; you can hail them down anywhere and give the driver your destination and negotiate a price. They differ from a taxi however in that you can jump on a songthaew if there are already passengers on board - if the driver is going in the direction you are going, they will usually also take your fare. We found that all journeys within/around the old town (unless you're going somewhere further out) cost 20B per person. The drivers will try and charge you more, but if you state 20B per person they should accept. You can also get a tuk tuk, but aside from the novelty value they are overpriced and uncomfortable! 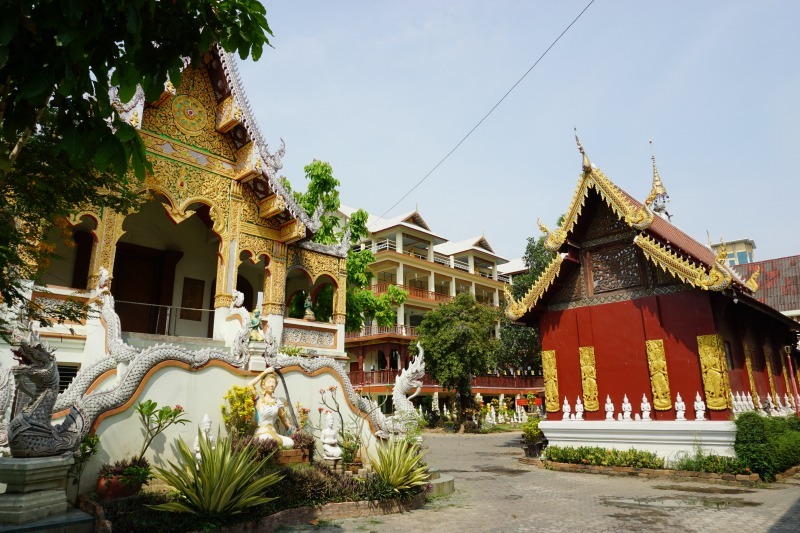 We visited Chiang Mai three times in total; it's a great stop off between visiting Myanmar, Chiang Rai (and the north), and Laos so we made the most of these opportunities and snuck in a few days each time. Of course, we only explored a small portion of what CM has to offer, but here are some of the things we've loved and would recommend. Get a massage at the women's prison. This one is in the Lonely Planet Guide, so although it didn't seem busy when we arrived, we weren't surprised to find all the slots had booked up by about 1pm. Get there early and book a massage with an in-mate at the local women's prison - the scheme is used to help train offenders in massage so when they are released they have the skills needed to (hopefully) gain employment and prevent re-offending. This sort of rehabilitation seems like such a good idea to me, so we were keen to try it out. We paid 200B each for an hour's Thai massage. 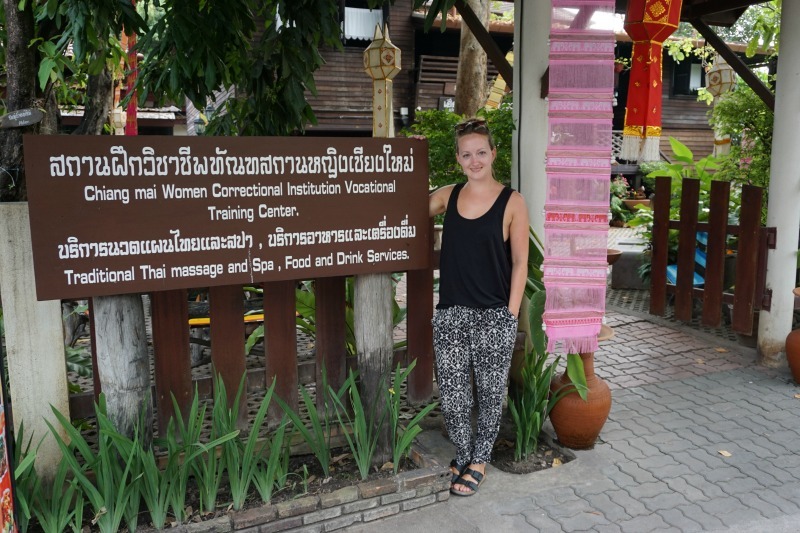 Although they speak very little English (there was nearly no interaction between prisoner and us) I was careful to ask for a 'gentle' massage... and I'm so glad I did! While I was enjoying a bit of careful limb manipulation, Rich appeared to be a world of pain with a small but powerful Thai lady pulling his arms into unnatural positions! Completely recommend. If you get there and they're booked up there is another facility round the corner which uses ex-offenders, a similar principle. Get a street-side massage. Yeh, any massage will do! 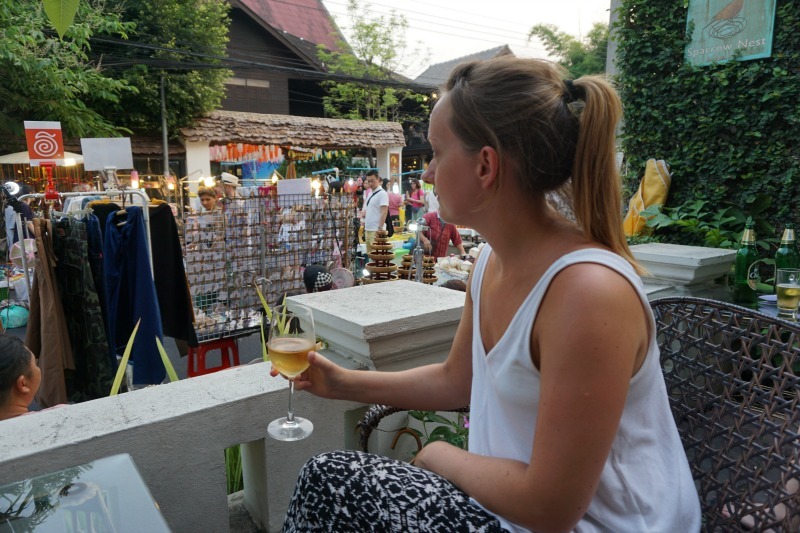 We enjoyed stopping at one of the street-side massage spots down Loi Kroh Road on our way back to our hotel (watch out for the Go Go bars...). At 100B for a thirty minute foot massage you can't go wrong! Ride the Samoeng loop. If you are brave enough to hire a motorbike/scooter in CM, be sure to make time to ride this 100km loop through the Mae Sa Valley, taking in the gorgeous countryside. We hired our bike from Tony's Big Bikes; owned by a British chap who provided full face helmets and bikes with some welly. Yes, we paid a little more, but worth it for a reliable, safe trip. 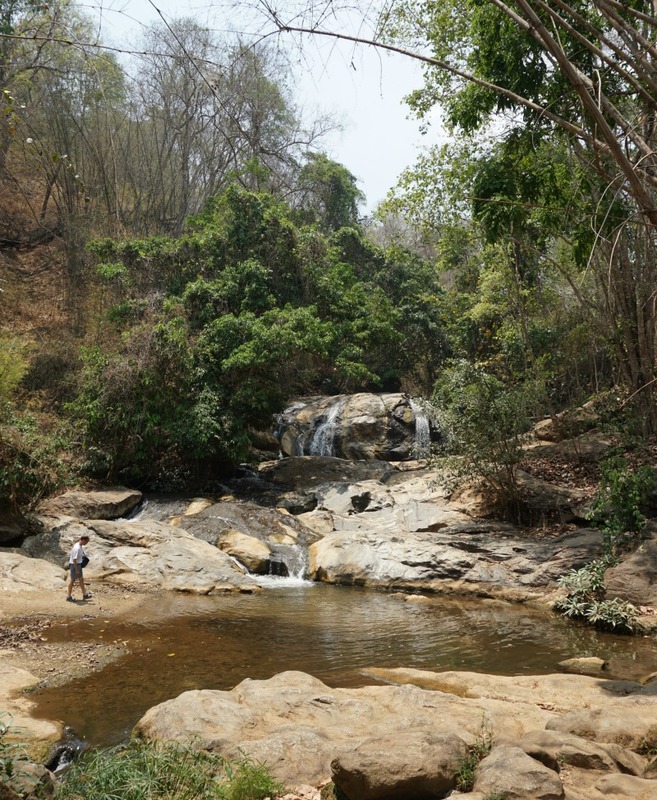 Be sure to stop of at the Mae Sa waterfalls and walk up to all 10 levels, it's worth it! You can buy a picnic from the shops in the car park and they give you a basket to carry it in. 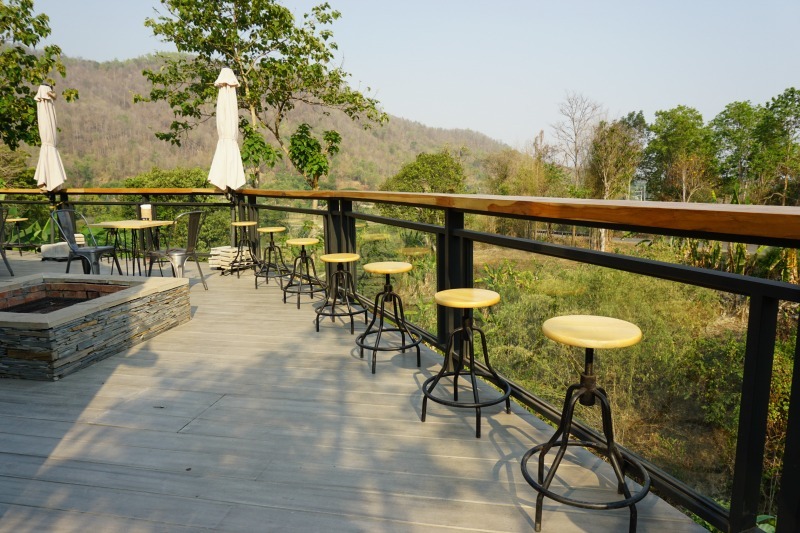 We also stopped at Thachang Hill Cafe for a tasty lunch with great views. 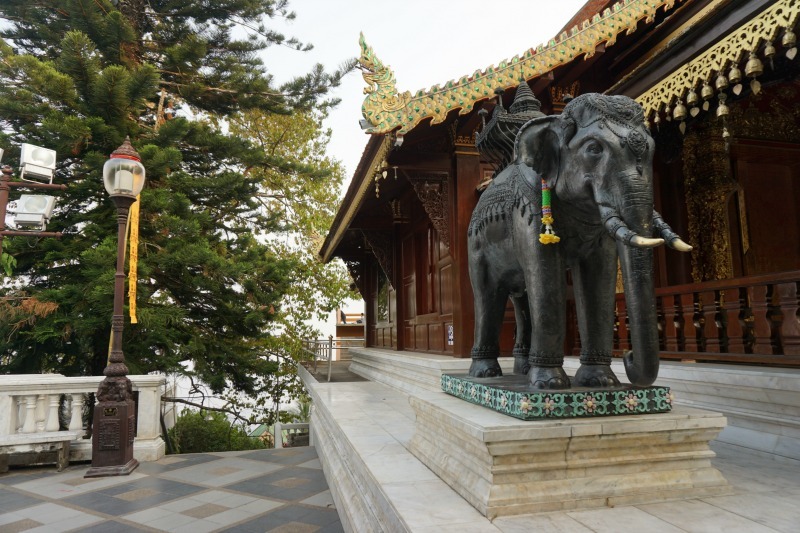 Doi Suthep. 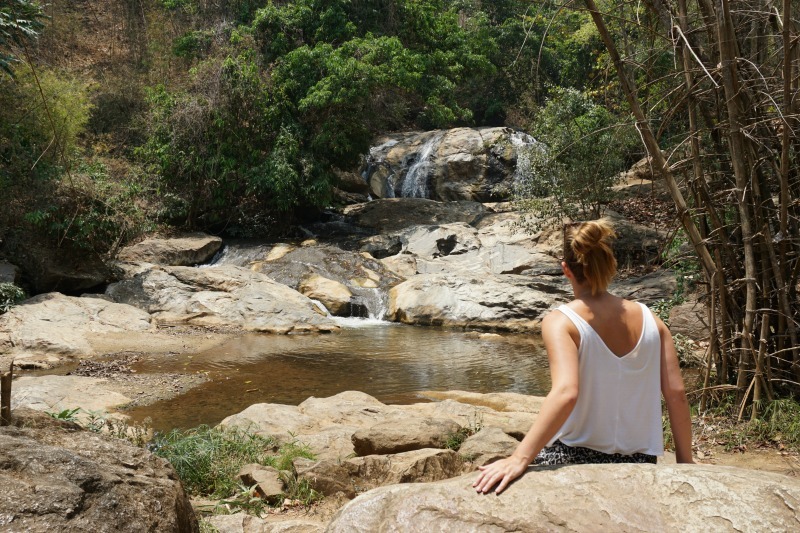 This can be done at the end of the Samoeng Loop, or hire a songthaew to take you there. Driving up the mountain on our scooter was a gorgeous experience in itself! Unfortunately we were in CM during the hazey season so didn't get great views, but you get an idea. At the top, climb the steps (or be lazy and get the funicular railway...probably not worth it) to the temple at the top. Great sunset views, even if the haze prevents good views over Chiang Mai. Wat hop. 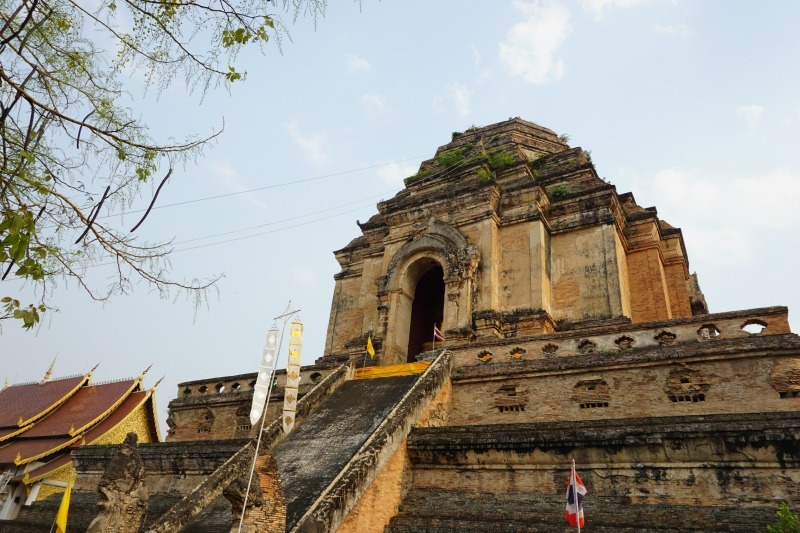 Chiang Mai is home to many, many wats (temples) and be sure to spend some time seeing as many as you can. Granted, we became 'templed-out', but it's worth seeing the main few at least. 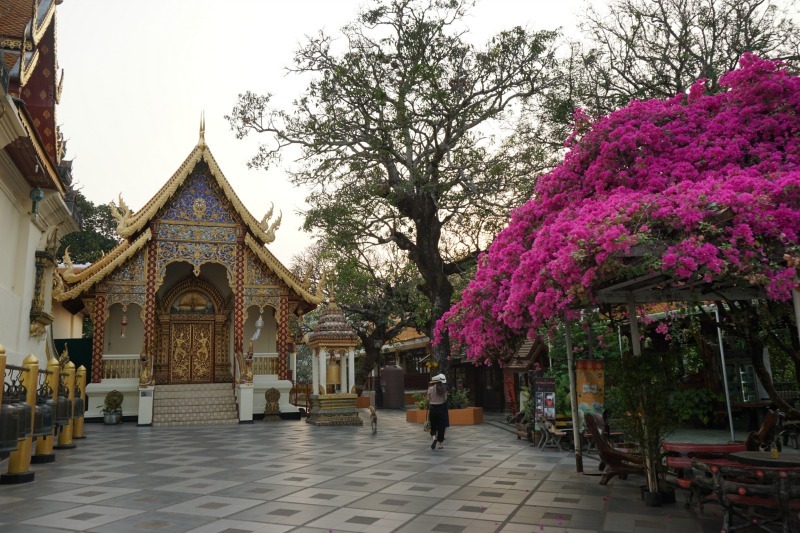 Wat Chedi Luang and Wat Phra Singh are the big two in the Old Town and both worth exploring. Ladies, make sure you are covering your knees and shoulders or risk being denied entry. Some offer the option to borrow scarves or robes for a small (10B) donation, but not all. You'll need to remove your shoes also upon entering. See the elephants. Having ridden elephants in Bali several years ago and since becoming aware of how unethical this often is, we were keen to seek out an elephant sanctuary to visit and atone for my sins! In Bali I witnessed the elephants being chained up in small enclosures, the mahouts controlling them with metal prod and elephants being made to take part in a circus style show. In hindsight, what was I thinking? 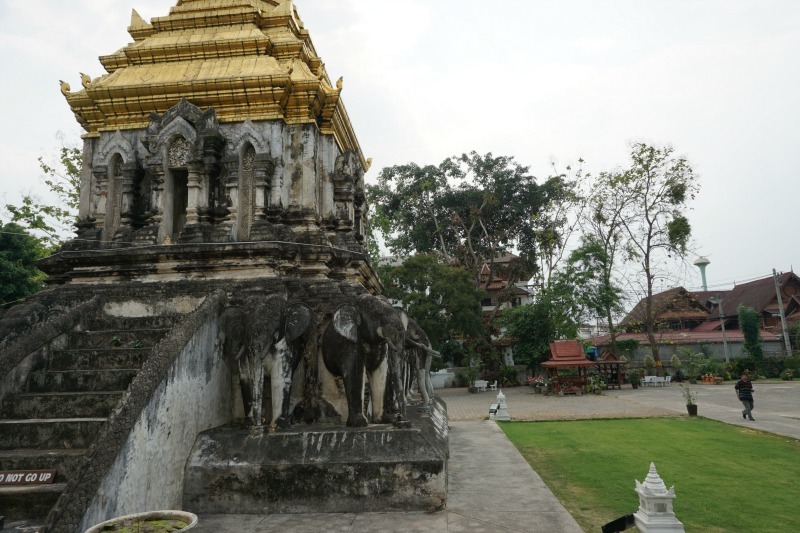 The most well-known sanctuary near Chiang Mai is the Elephant Nature Park, famed for rescuing and caring for mistreated elephants. We decided to visit a less well-known sanctuary; the Elephant Jungle Sanctuary. A must for anyone who loves these beautiful beasts as much as I do! I'll be doing a separate post on our trip here. Chill out in Nimmanhaemin. 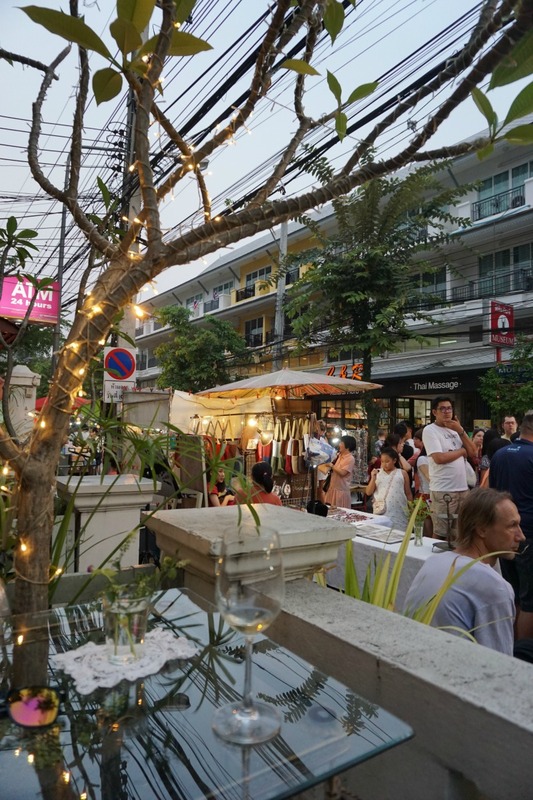 This cool, student-y area of Chiang Mai is a great place to cafe-hop in the day and enjoy a few drinks in the evening. 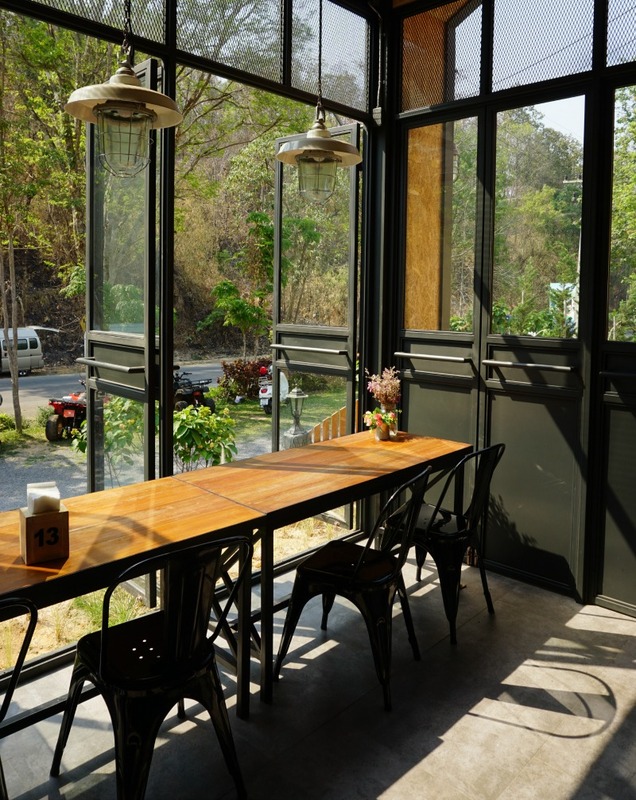 With a younger crowd than CM's Old Town, it's embraced the whole coffee shop chill vibe wholeheartedly; expect to see artistically designed little coffee shops on every corner. Ploen Ruedee Night Market. 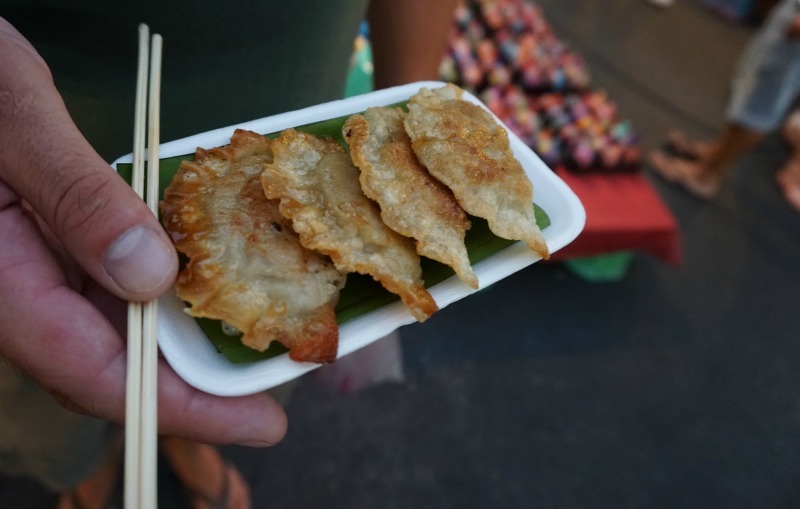 Another night market; this time with more focus on food and live music than shopping. 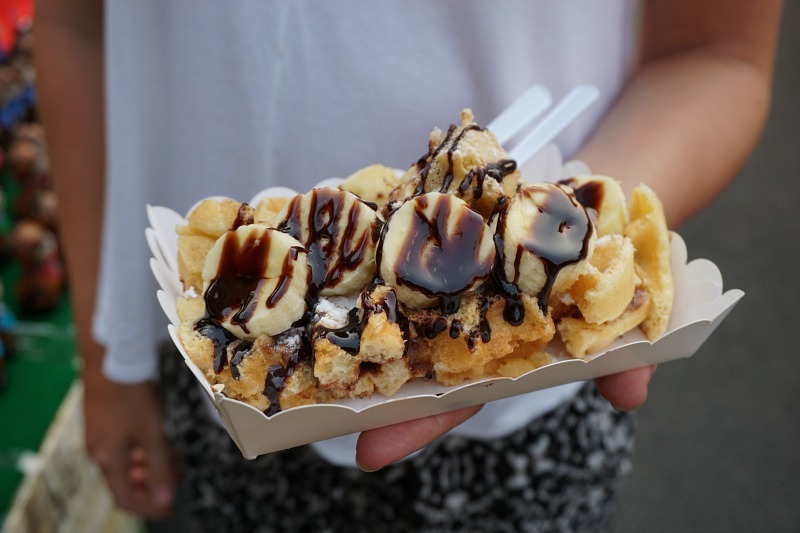 Nestled in the night bazaar, this place offers international street food; think burgers, burritos, sushi and more. 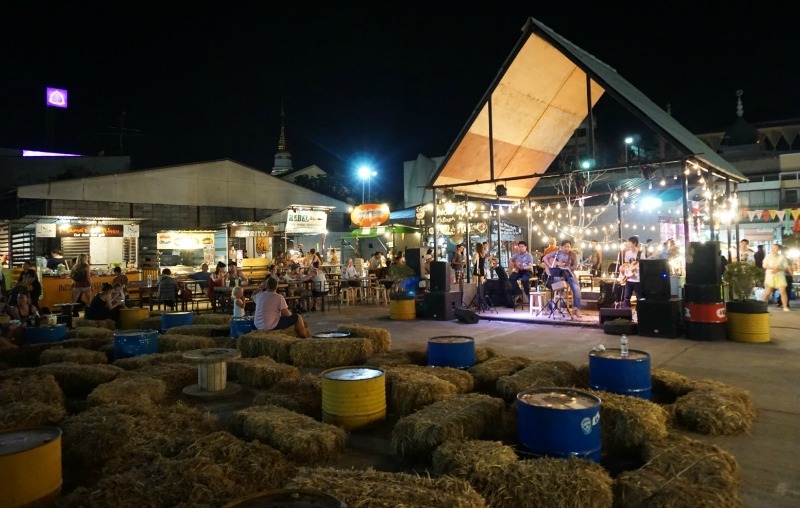 It also has live music, hay bales to sit on and a great atmosphere to chill out in the evening. We ate sushi, chicken satay, curries and drank some great fruit shakes and cocktails... all for really cheap. We loved this place and wish we'd found it sooner! Of course, there is so much more to do here than just these. 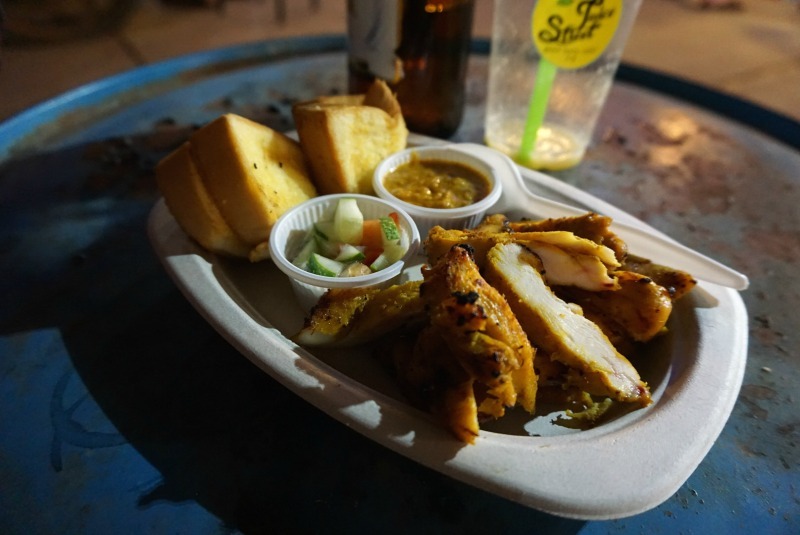 Cafe-hop, check out the street food, take a day-trip trekking north of CM. This place has it all, in my opinion. See you again soon, Chiang Mai! 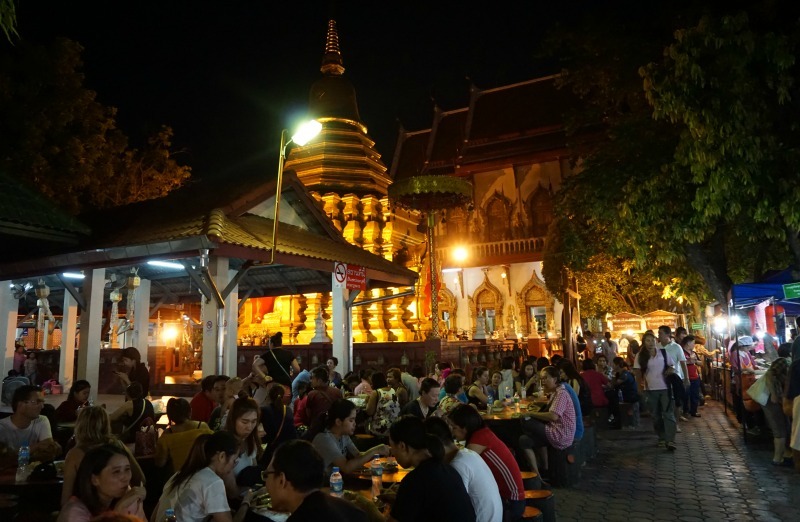 Other Chiang Mai posts to come: lunch eats, dinner eats, elephant day trip and maybe a little Songkran post. We really did love it there. Stay tuned!